Geoscientist who managed one of the most successful uranium exploration discoveries in the world speaks about the experiences that shaped his career. An interview with HES Alumnus, Galen McNamara. Galen McNamara from Toronto, Ontario, has always had a passion for science but also a desire for adventure. 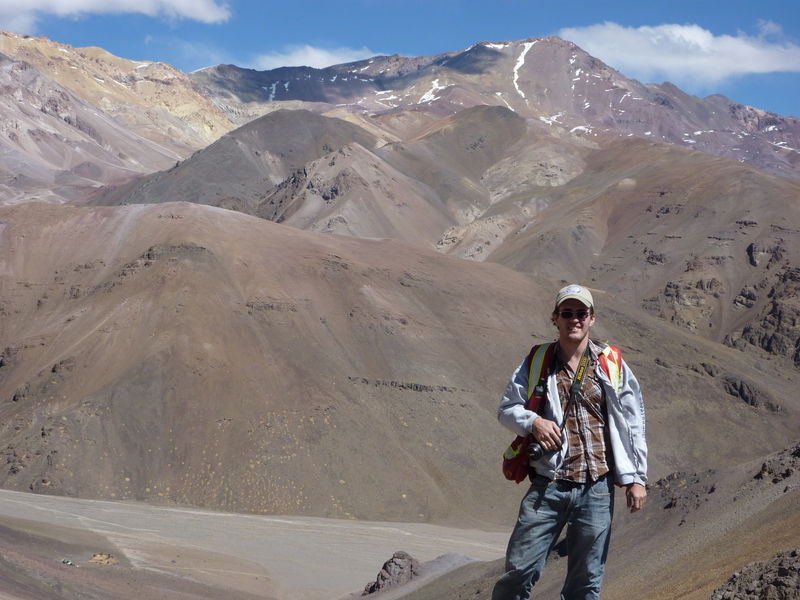 Some geologists like being outdoors, but for him it was about going on adventures with his friends (travelling somewhere new where he has never been before, doing a field program, mapping, sampling, or prospecting). It was the sense of adventure that drew him to it and still to this day, it’s what he is passionate about. "Being a guy that was into general science at the time, it sounded like it could be a really fun adventure"
He started his undergraduate degree in general sciences at the University of Calgary where he was first introduced to geology in the first year geology course. Geology is a program for people who really enjoy sciences, but also have a creative side and want to explore that. He didn’t really know this about himself at first, but now he can see that this is absolutely the case. "You can kind of let your ideas go wherever they want to go"
The idea of mineral exploration, specifically the business side of exploration, caught his attention which led him to transfer into the geology program at Laurentian University. The Harquail School of Earth Sciences at Laurentian was recommended to Galen for its excellence in mineral exploration. With chemistry being his favourite subject in high school, he quickly found himself interested in geochemistry, specifically studying the fingerprinting of rocks to help make new discoveries. “The geochemistry of rocks is telling you about processes that occurred either when the rock was formed or when it was affected by a later process, like a hydrothermal process. So if we can pick up on those signals, we can start to really hone in from big scale to small scale, which is one of the earliest steps towards discovery when you’re looking at a really big area.” This eventually led to Galen pursuing his Master’s at Laurentian in geochemistry with a focus on the local rocks in Sudbury. Using the same idea as fingerprinting, he conducted geochemical isotope work in the Sudbury Igneous Complex (SIC). His objective was to investigate - when the SIC was still molten and cooling – if it broke out into different convection cells. Did the metals come from the SIC or did they come from the target rocks of the meteor impact? At Laurentian University, he worked with world class professors, who are at the top of their field in what they do. Galen also found their passion for their research and education contagious, making it easy to learn from them. He was presented with various employment opportunities during his studies working in most of Canada, the western US and South America briefly. When the industry was high, he was able to take on many responsibilities providing him with the opportunity to do a lot, really early on in his career. The ups and downs of the industry presented challenges and opportunities to Galen. Completing his Master’s was one opportunity, and becoming an entrepreneur was the other, which led to many of his successes. “Challenges lead to the highlights". When the market took a downturn for the second time in Galen’s career, he decided with a few friends to start a consulting company. From there, things started to move quickly and they were led to a project with NexGen Energy which resulted in one of the largest exploration successes of the uranium industry. Galen didn’t stop with the consulting company. He also co-founded a drone company with another Laurentian alumnus, that performed magnetic surveys to help with exploration. They were the first people to use drone technology to take a magnetic signature of the Earth in order to target areas that may be of high mineral potential. 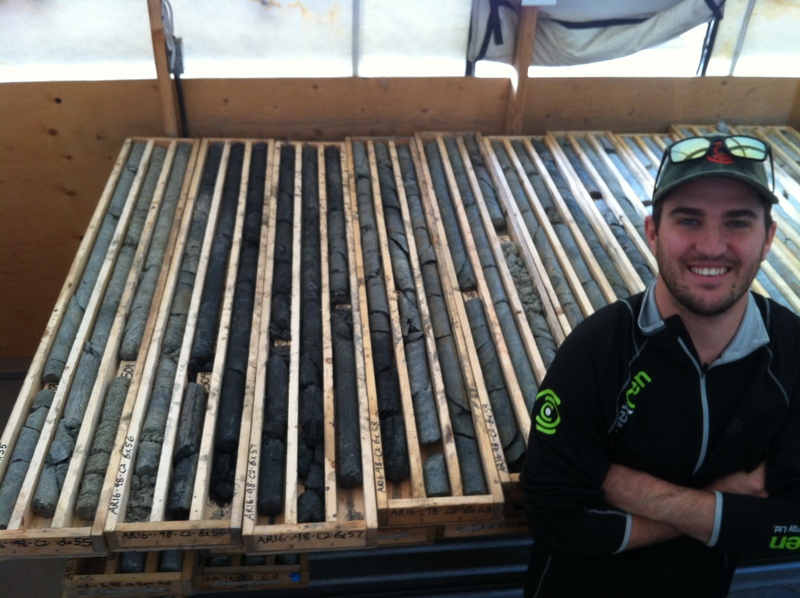 Galen joined NexGen Energy in early 2014 starting off logging core for the project in Saskatchewan. He quickly progressed in his role to become the project manager in the field. As the project progressed, it grew into one of the best mineral discoveries of the century so far. “The results kept getting better and better until we started hitting some of the best results for uranium exploration ever in the world”. Galen’s role was to manage the project in the field and to plan and execute the exploration. He spent 4 years splitting his time between Saskatoon and living in the camp managing the drilling: from supervising the drilling company, ensuring safety standards are met, interpreting the results, and using that data to further plan the exploration and drilling. “As the project geologist, you become the point person in the field for almost everything on the project. Modern exploration is more and more about building partnerships, so you find managing community relations to be extremely key to advancing a project." Just this past March, the company shared the Bill Dennis award at PDAC for the discovery of the Arrow uranium deposit in the Athabasca Basin of Saskatchewan, Canada. Galen’s next adventure is shifting from a technical focus to where geology and entrepreneurship meet, in the business of mineral exploration. He’ll be analyzing the stock markets and metal prices to anticipate what the next most profitable mineral will be to explore in the near future. He will be interacting with geologists, investment bankers and people with financial backgrounds, all working together to form new exploration and mining companies. “Even if you’re not in the sciences, take the first year geology class. You might really like it. That’s what happened to me. If you’re interested in a job where no day is the same, geology is a good one."